Turquoise was a popular gemstone during the 1860s, but it had a long history of popularity. 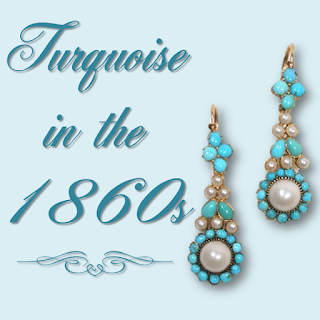 Other cultures had valued turquoise and used it decoratively for centuries before. Turquoise made its entrance into the western world primarily through Persia and Egypt, thanks to Napoleon’s inroads to North Africa via his military campaigns. Shortly after the 1798 Battle of the Nile, wealthy women across Europe began wearing the stone in their jewelry. 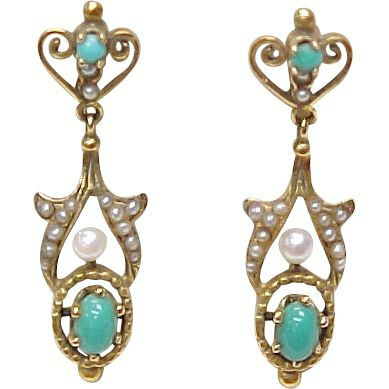 Persian turquoise differs from turquoise mined in the United States in that it has no visible matrix. Matrix is the black or brown veining that is common here in our country. Instead, the turquoise that Victorians were familiar with was a fine robin’s-egg blue. To our eyes it almost looks fakey since it has no veining, but it was very much in prized in the 1860s and continued to increase in popularity. 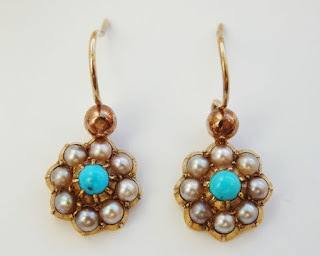 Here are some lovely examples of mid-Victorian turquoise jewelry. 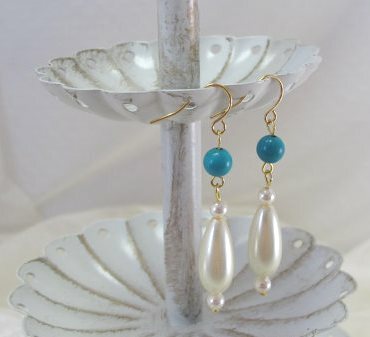 Just for fun, I occasionally incorporate a little turquoise into my jewelry such as this pair of earrings. 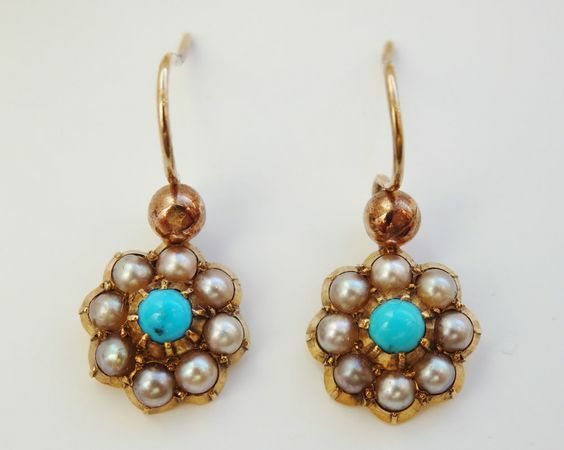 I love the combination of turquoise and gold. Remember in "Daniel Deronda", Gwen tries to pawn her turquoise necklace at the gaming table. We are so used to seeing it with silver, which I don't really care for. Very pretty! I love the gold too. 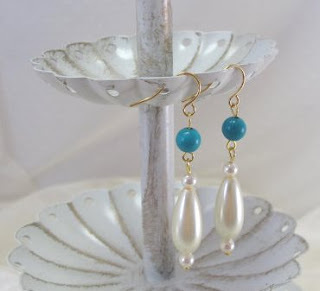 It adds a new dimension to the turquoise. I have never watched that movie, but I agree that the gold sets off the turquoise in a whole different way. I think it's a bit more elegant.